Simply gorgeous! This Art Deco inspired necklace is a striking combination of beautiful Green Turquoise, Black Onyx and White Freshwater Pearls. 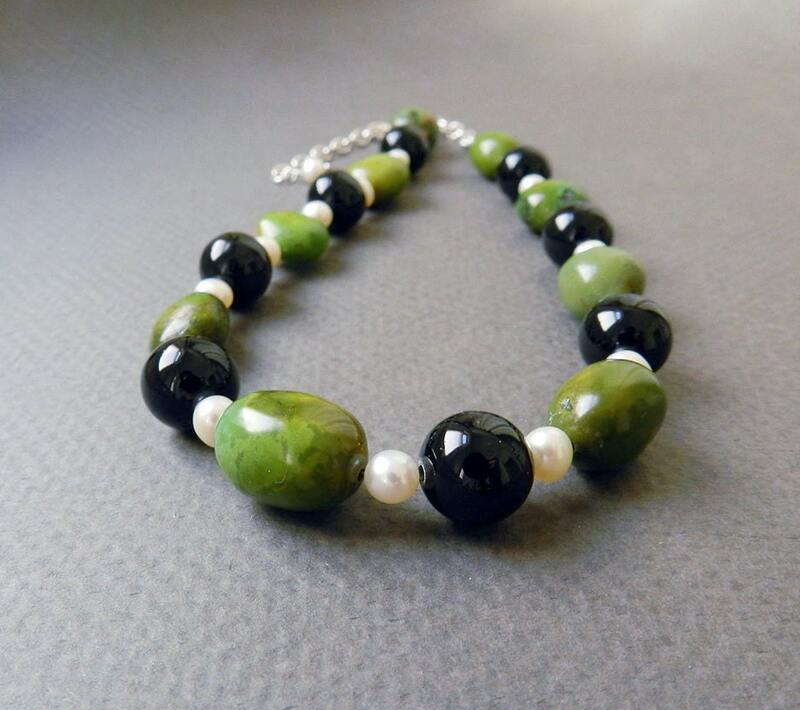 The green turquoise stones are polished but retain slightly-rough characteristics for a more natural finish to contrast with the smooth polish of the rich black onyx (12mm) and the white pearls (6mm). To add versatility to the wearable length, sterling silver extender chain has been added. The beaded length of the necklace is 13", and the chain can be adjusted from 16" to 18".